Hope everyone is enjoying their holidays. With two days of Hanukkah left, let's celebrate with a book selected by one of my favorite children's book bloggers, Ariel S. Winter, author of the fab We Too Were Children, Mr. Barrie and the forthcoming picture book, One of a Kind. 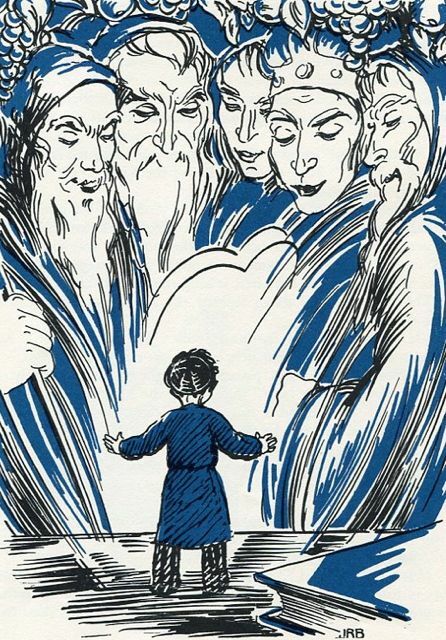 With so many excellent Jewish American children's books now available--many of which have even crossed over to a popular audience like the works of Maurice Sendak and Uri Shulevitz, or Caldecott winners such as Simms Taback's Joseph Had a Little Overcoat or David Wisniewski's Golem--it's hard to imagine a time when American Jewry had no works available for children in English. That changed with the birth of K'Tonton, the Jewish Tom Thumb, who first appeared in Outlook, the magazine of the National Women's League of the United Synagogue in 1930. 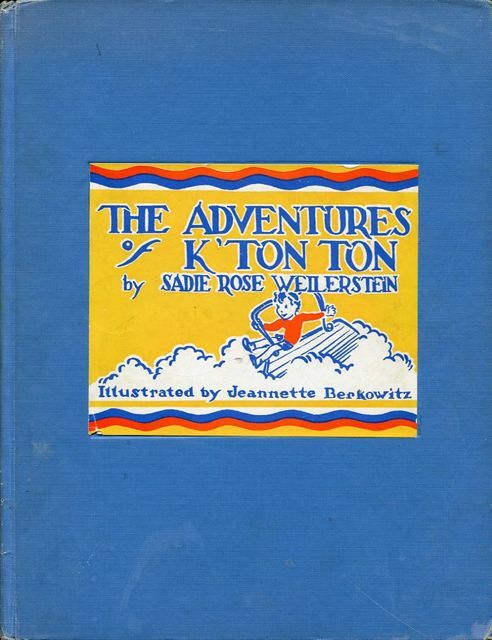 Written by Sadie Rose Weilerstein, daughter of immigrants and the wife of a conservative rabbi, K'Tonton (the name means "very small" in Hebrew) is a thumbling who gets into all of the predicaments thumblings get into: carried off by birds, riding on an arrow, dining with bugs. But K'Tonton also has adventures that only a Jewish thumbling could have: riding on a lulav (a palm frond) at Sukkot, getting closed in a hamentaschen (a filled traingular cookie) at Purim, and most pertinent here, going for a spin on a dreidel (a four-sided top) at Hanukkah. 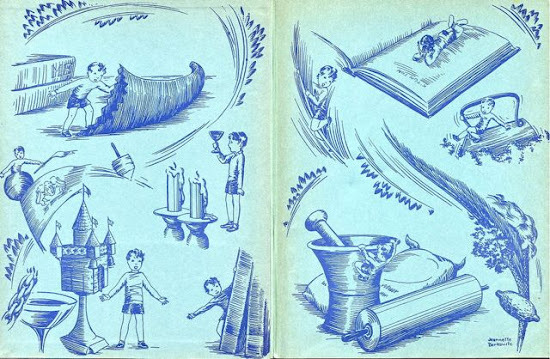 In K'Tonton Takes a Ride on a Runaway Trendel (alternate Yiddish word for dreidel), K'Tonton is sad because his aunt and uncle and "Bobe" (the woman who predicted his birth) have come to visit but none of them, nor his parents, have remembered to give him any Hanukah gelt (coins). 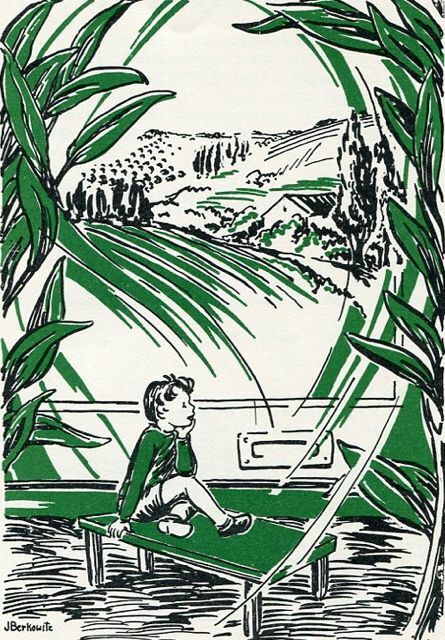 K'Tonton doesn't want gelt for himself, but to fill up his Palestine Box (this is well over a decade before the establishment of Israel), "to buy land, you know--for the Jewish farmers, the Halutzim." Knowing that he can't outright ask for gelt, he mopes. His uncle, wishing to cheer him up, sets him on a dreidel and sends him spinning, a merry-go-round for one. Soon the dreidel has spun off the table, out the door, and into the street. The whole family chases after the runaway dreidel and it's rider. They call to a policeman to stop him, "but the policeman was an Irishman and didn't know what a trendel was." Eventually, K'Tonton comes to rest beside a "A BIG ROUND SHINING QUARTER!" The coin reminds the whole family about Hanukah gelt and they pour all of the change in their pockets into K'Tonton's Palestine box. 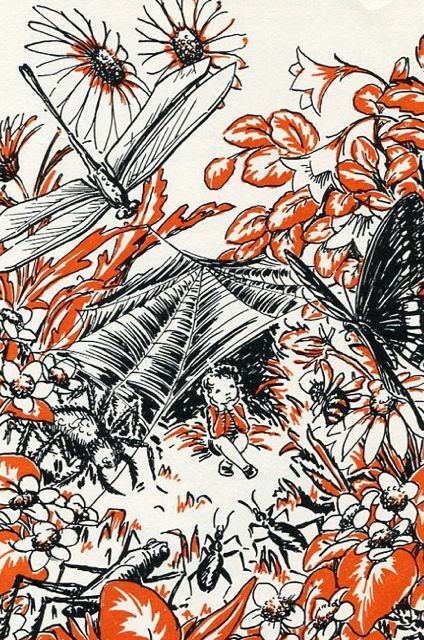 This story is typical of the K'Tonton oeuvre, a small adventure that teaches a lesson about a holiday or a Jewish value. K'Tonton is the most pious, happy-go-lucky child imaginable, who never laments his diminutive size. 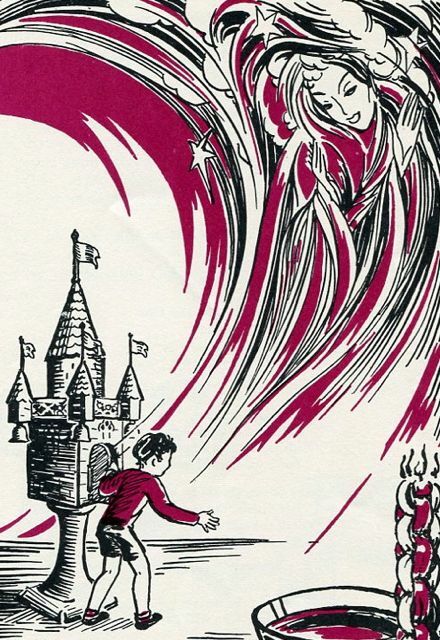 It is just that size, and the black and white morals, that appeal to a young child, and it is no wonder that the first English language Jewish children's work is still the earliest memory I have of Jewish literature and will no doubt be one of my daughter's as well, seventy years after his first appearance. There are some really nice essays online about K'Ton Ton and Sadie Rose Weilerstein that I consulted: K'Tonton Time by Marjorie Ingall and Sadie Rose Welerstein by Lisa Kogen. 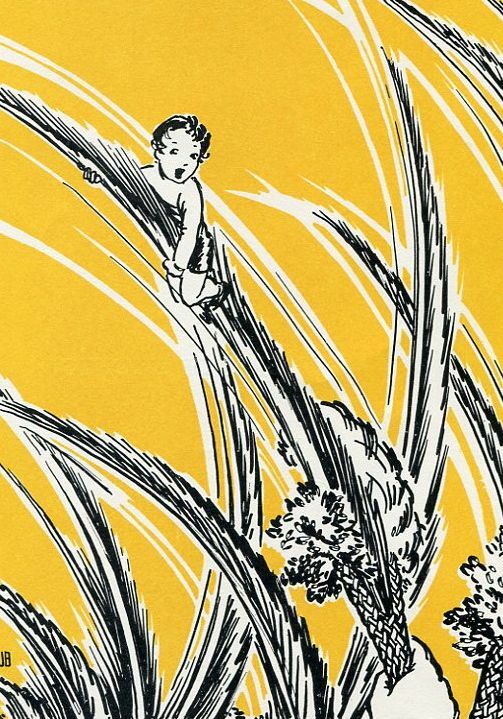 I've posted all of the full-page illustrations by Jeannette Berkowitz from The Adventures of K'Ton Ton on my Flickr as well as the complete text of K'Tonton Takes a Ride on a Runaway Trendel. Nice pen and ink illustrations. Like the changing two color palette.